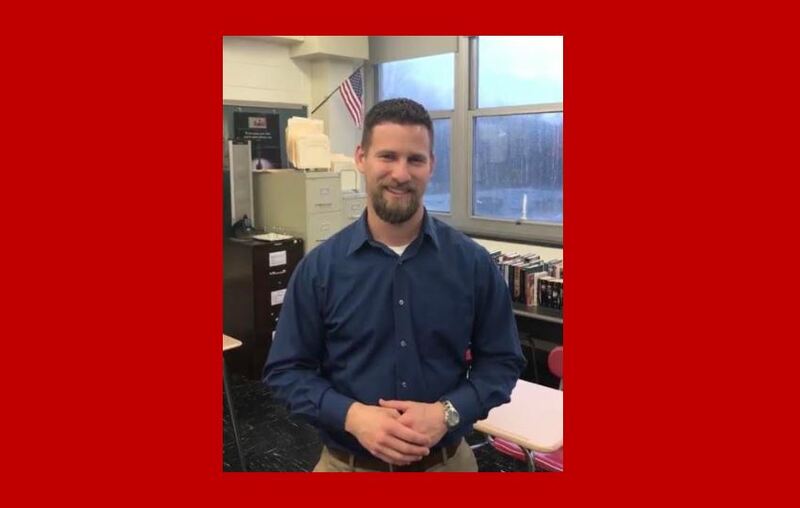 Mr. Eric White, Lakeland's 2019 Teacher of the Year, has organized the Poetry Out Loud competition and Coffee Houses, both events that showcase student talents. Mr. Eric White was named Lakeland’s 2019 Teacher of the Year. His palpable efforts to enhance his students’ class room experience, helping them get the most out of his class as possible, was one of the many things that set him apart. This year, Mr. White introduced a new way of teaching that increases achievement in students, and prioritizes their quality and quantity of learning, rather than their grades. Could you tell me a little bit about your new teaching method? Why did you decide to do this? The teaching method that I’m currently using is called Standards-Based Learning. Its focus is on developing a student’s skills rather than on earning points. In a nutshell, a student works to become proficient at a skill through various methods and then demonstrates that skill on an assignment that is evaluated for a grade. Students are not penalized for getting wrong answers on the practice assignments that lead up to the graded evaluation. To put it simply, I decided to start using this new method because I saw the way in which I was implementing the system that promoted earning points as ineffective. I looked back over my 14-year career and said, “What I’m currently doing ain’t working. Students aren’t learning as well as they should be.” Like anything else, it’s time to fix something only when it’s broken. I saw my teaching methods as broken. What does being teacher of the year mean to you? Teacher of the Year is a wonderful honor, and I’m grateful for the recognition. What is the hardest part about being a teacher? The hardest part about being a teacher is dealing with bureaucracy. Teaching–helping students develop skills through various content and then providing them opportunities to demonstrate learning– is only about 50% of the job. Unfortunately, there are many aspects of the job that get in the way of that focus. What is your favorite lesson to teach? I don’t have a specific favorite lesson to teach, but I get the most joy from a lesson that is clearly understood by my students. Once in awhile I present something that garners the ages-old head nod of understanding. That’s when I know students are really listening. Contemplation and consideration show themselves on one’s face. One can’t hide deep thinking. What is your main goal as a teacher? My main goal as a teacher is to present material in ways where students feel they have a chance at being even marginally interested. In that respect, I’m like a salesman in a bazaar, hawking my wares. Literature is tough, but I want to show students that tough can be fascinating. The story of how I became a teacher is not an ideal one, for sure. I was broke, a year out of college, and at a dead-end job while still living with my parents. I then met a gorgeous young woman who I wanted to marry. She told me to get a real job before I proposed, so I said, “Ok, that makes sense.” I applied to Lakeland Regional High School that same week. It was the summer of 2004. I had no altruistic drive to help students; at the time, I wasn’t super passionate about teaching. What is one thing you hope your students achieve when taking your class? The one thing I hope students achieve in my class is that they can say to themselves–and I know that this is grandiose– that the world’s a bigger place than they realized before taking my class. In one of Shakespeare’s most famous plays, Hamlet tells his best bud, Horatio, “There are more things in heaven and earth, Horatio, than are dreamt of in your philosophy.” I want students to understand that one’s philosophy–or outlook on the world and our place in it–is forever changing as one continues to learn. As soon as one thinks a topic or an idea is nailed down tight, as soon as one thinks one understands a topic through and through, it means it’s time to start digging deeper. One can declare expertise, but even experts keep learning. That line from Hamlet rings true: there are more things in the universe that we don’t understand than things that we do understand. Keep exploring! As one of Mr. White’s English IV students, I can say in full confidence that no one was more deserving of this award this year than Mr. White. His passion and avidity to make his students lives better is as overt as ever after the recent changes he has made to his class. Often, both teachers and students get wrapped up in grades, and we forget that the real reason we attend school is to actually learn, and to keep that information with us, rather than live test to test and just try to make it by with decent scores. By making school less about quizzes and more about learning, Standard- Based Learning makes school more enjoyable and less stressful for students. I think I can speak for my class when I say that we have all both thoroughly enjoyed and learned so much from his class thus far. Awesome article! Great job Mr. White!